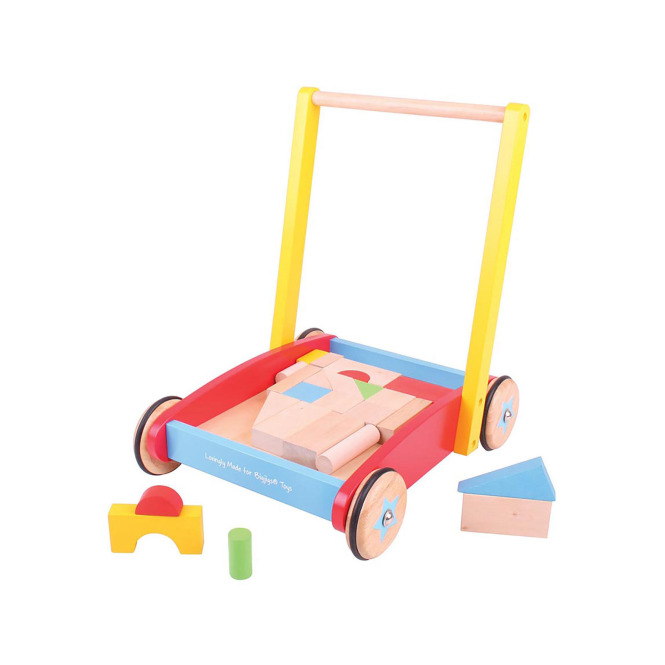 This sturdy walking trolley by Big Jigs is great for little ones who are finding their feet. The brightly coloured trolley includes 36 assorted wooden building bricks. The trolley measures H490 x W340 and is suitable for age 12 months and above.